A renewed patent for fuel cell battery has been filed by Apple which could power its devices `for days or weeks’ a probable step to end battery life problem and an attempt to use more environmentally friendly ways of empowering creations. Initially revealed by source, the patents clarifies that the batteries would be better for Mother Nature as well as last for days or even weeks with a single charge. The two filings states that `our country’s continuing reliance on fossil fuels has compelled our government in maintaining complicated political and military relationships with unstable governments in the Middle East and has also exposed our coastlines as well as our citizens to the related hazards of offshore drilling. These problems have led to an increasing awareness and desire on the part of consumers to promote and use renewable energy sources’. It further states that `due to this increased consumer awareness, electronics manufacturers have grown interested in developing renewable energy sources for their products and have been exploring various promising renewable energy sources like hydrogen fuel cells. Hydrogen fuel cells have various advantages and such type of fuel cells and associated fuels could probably gain high volumetric as well as gravimetric energy densities that could possibly permit continued function of portable electronic devices for days or even weeks with the need of refuelling. But it is quite challenging in designing hydrogen fuel cell systems that could be adequately portable as well as cost effective to be used with electronic devices. As per the filing, Apple has been investigating on various kinds of fuel cells. Hydrogen fuel cells are the types found often in cars. However, Apple points out in the filing that building a hydrogen fuel cell which could fit in a laptop could be quite a challenge, but something that Apple would work on. The patent application which was published by the US Patent and Trademark Office defines a `portable and cost effective fuel cell system for portable computing device which could be utilised in various energy sources in providing long term power. Apple had filed patents on the same topic many years back and very often patents ideas do not surface in their products. Though the new patent application suggesting various different energy sources from sodium borohydride to liquid hydrogen differs little from its previous filings, its renewal could indicate that Apple is keen on the idea. The filing state that fuel cells could probably permit continued operation of portable electronic devices for days or also weeks without the need for refuelling. Recently revealed in The Telegraph was a major breakthrough by British firm Intelligent Energy stating that it had installed a hydrogen fuel cell in iPhone which had the potential of powering it for a week without any recharging. 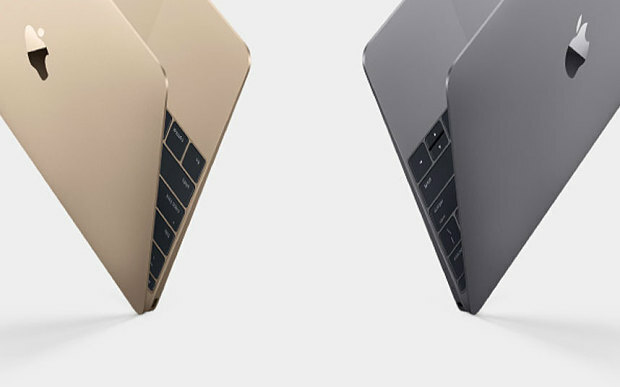 The patent seems to relate to MacBooks and constantly mentions that MagSafe connector utilised on laptop computers does not name check the `Lightning connectors used on the iPhone and iPad. Moreover, the patent also mentioned that the energy could come from a `fuel cartridge which is detachably affixed to the fuel cell system which means rather than recharging, one simply replaces the devices’ cartridge when it runs out. According to US Patent and Trademark Office revealed on Thursday, Apple had applied for patent for technology on bone conduction for voice communications. Apple's patent application which was filed in February 2014, though not published till recently defines a method of improving voice quality in wireless headset using freed earbuds of a mobile device. As defined by Apple Insider, it terms a system, where the voice input is accepted by one of the two earbuds and depending on the perceived quality, it is then passed on to a mobile device. Inertial sensor which tends to monitor the vibrations in a user’s bone structure as well as the range of other sensors helps in informing which signal to use. Bone conduction tends to transmit sound via subtle vibrations instead of through speakers generally with an increase in clarity. The patent tends to follow the design model which Apple had attempted in bringing about to most of its devices and accessories – simplicity. It could also propose a natural progression with the company’s 2014 acquisition of headphones maker Beats, while enhancing the earbuds contributions. According to research manager of wearable and mobile phones for IDC, Ramon Llamas, has mentioned in an email that `this is something like Apple taking a hint from what the other vendors have done earlier and which has been Apple’s mode of operation in the past – to see who does it well and then attempt to do it better than the others. We have seen this with smartphones and are now seeing it with watches and if the product reaches market, Apple will be doing the same to the Bluetooth headset industry’. Apple had noted in the patent application that its earbuds would be accountable for noise and wind level identified by internal earbud microphones. Moreover, the earbuds could combine the information with accelerometer output battery level as well as earbud position data as per the application. Apple has mentioned in its patent application that `the invention usually relates to improving the voice sound quality in a wireless headset with untethered earbuds of electronic devices by determining which of the earbuds should transmit the acoustic signal and the inertial sensor output to the mobile device’. Using the acoustic signal as well as the inertial sensor output received from one of the earbuds, user’s voice activity could be detected to perform noise reduction and generate a pitch estimate in improving the speech quality of the final output signal’. As per the application, a shared complain with hands free devices is that speech caught by the microphone port or the handset comprises of environmental noise like the secondary speakers in the background or it could be other background sounds. Environmental noise tends to make the user’ speech incomprehensible and hence tends to degrade the quality of the voice communication, which is a problem that Apple intends to solve. 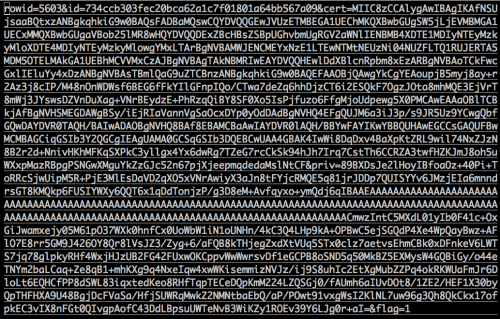 Apple had declined from commenting on the patent application. 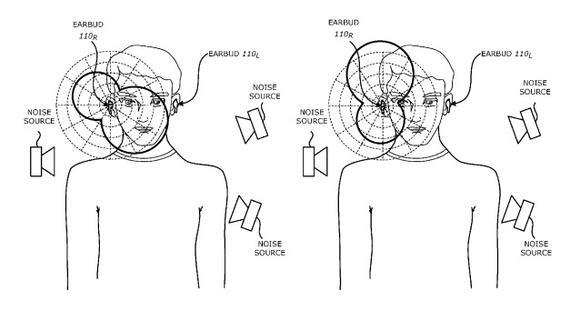 The present patent shows on-going work in bone conduction technology as Apple had filed a similar application for accelerometer assisted noise cancellation last September and the company is yet to bring in such a device to the market. Its most innovative earphone designs tend to rely on cables, excluding devices that are developed by Beats. It should be noted that two third of the Apple’s revenue comes from the sales of iPhone followed by its other devices and web based services. In order to keep the revenue steady it is necessary for the Apple to keep introducing new devices in order to generate desire among the consumers. Apple has been selling millions of mobile devices each but in the recent times it has seen slowing down of sales largely due the rise of Chinese Smartphones manufacturers and saturation in the world mobile market. The other major device in Apple’s portfolio is the iPad, which is going through a bad phase in sales. The quarterly sales of Ipad are declining with each passing year and Apple had recorded six periods of low sales in a row, which is highly alarming. Just a year back Apple had launched new bigger iPhone which boasted huge advancement in the hardware and design but this year focus will be bringing tweaks and functionality enhancement as seen earlier with ‘S’ cycle launches. The major example of ‘S’ cycle change or tweaks is the introduction of Siri, Apple’s voice assistant with the launch of iPhone4S few years back. It is expected that Apple will be bringing its relatively new ForceTouch technology to its other devices. ForceTouch technology debuted last year with the iPhone 6 allowing it the ability to differentiate between the hard and light taps on the screen. Apart from this Apple will be bringing tweaks with a fast processor, better camera and more color options for the users. We had long being hearing about the Apple TV and last time it was expected to be revealed at the annual developer’s conference in June but it was pushed back for unknown reasons. Later on it was revealed that Apples had failed to broker any deals with the TV programmers to bring some content in time. 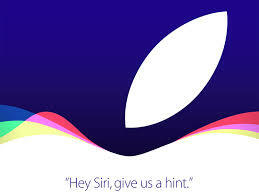 This time Apple is expected to launch the Apple TV box along with an internet based television service for its users. Apple was first to pioneer the thought of binging a service of internet delivered TV but it kept pushing it back and now this service has grown considerably with increased accessibility. Apple had long kept the tradition of holding separate events for its tablets and smartphones. And usually iPhones are announced in September followed by iPad in October. This time they might surprise us by launching both the devices together and users will be able to see the upcoming 12.9 inches iPad Pro in September event. As per the latest news, Apple has plans in bringing the Apple Watch’s animated wallpapers in its upcoming iPhone 6s and iPhone 6s Plus. 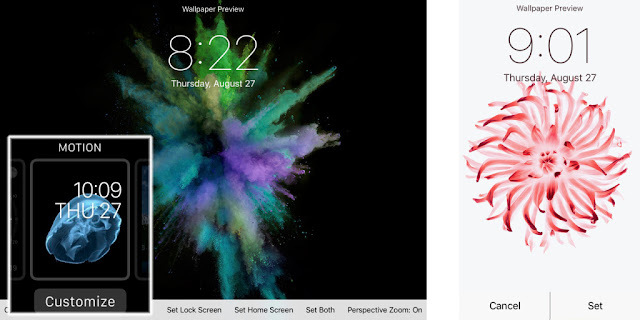 According to source, Apple Watch owners have the option of animated jellyfish, butterflies and flowers backgrounds, the new phone wallpapers is stated to feature koi fish, flowers and coloured powdery smoke. Images of what seem to be yet-to-be-assembled iPhone 6s Plus box has been posted online on Chinese site – cnBeta, which is complete with image of a gold and black butterfly koi. The latest models tend to benefit from a new 12 MP camera with potential of shooting 4K video with the front camera capable of recording 1080p video at 60fps, 240fps in slow motion mode together with flash support. The updated phones would also be having Force Touch technology that can detect how hard the user is pressing and enable various actions that need to be carried out. The technology, according to the reports will permit menu `shortcuts’ which enable users in discovering options on menus, quickly. The most widespread rumour is that the new generation iPhones would see the introduction of new rose gold model. Media invitations for press event for September 9, have been sent by Apple, where chief executive Tim Cook is expected to introduce a revamped Apple TV box set together with the new phones. The new box is said to feature a touch pad remote, with extra inbuilt storage together with Siri voice control for browsing as well as selecting programs and films to watch, in light of latest patent filing. It is expected to run a TV optimised version of iOS 9 together with a refreshed interface and for the first time it would be opened up to the app group. Apple is predicted to unveil a software development kit – SDK which would enable developers in building apps. Presently only a few of the third party programs tend to feature on the Apple TV and introducing a SDK and App Store would probably expand this considerably. Moreover, it would also be supporting HomeKit once Apple confirms that Apple TV would be acting as a central hub for connected home appliance which includes ecobee thermostats, lighting kits as well as smart sensors. Internal email leaked from Vodafone staff indicates that the new handsets would be going on sale on 25 September with pre-orders which would be accepted from September 18. Recently, Apple had brought the Watch’s animated flower wallpapers to life with hand sculpted resin model in all the 24 windows of Selfridges in London. These ranged from 200mm to 1.8 metres in height, wherein the flowers comprised of purple passion flowers, pink peoneys as well as white nigella. According to a report by 9To5Mac, there is a possibility that the new iPhone would be featuring animated wallpaper and if this turns out to be true, they would be of the same family as the `motion’ wallpaper that are found on the Apple Watch. An image of the new iPhone 6s Plus box had been leaked recently featuring a picture of a golden koi fish as the phone’s background. Source 9To5Mac warns that the animated wallpaper feature may be dropped before the iPhone 6s is formally introduced though the site speculates that the existence of the fish on the packaging materials indicate that the feature has been confirmed.